Subaru Dismantlers Melbourne buys any Subaru cars or SUVs , any make, any model, any age, any condition. Anything is considered. Wreckzone pays instant cash at top prices. Cash for cars Melbourne is the safest and easiest way to selling you car. No expense, No time wasters, No hassle, No fees. we cover all areas in Melbourne, and surrounding areas (St Kilda, Cranbourne, Dandenong, Frankston, Mornington, Sunshine, Brunswick…). Selling a Subaru vehicle can be a complicated task, online advertising is known for attracting time wasters, what if nobody answers my ad, what if I have to sell my car urgently. Melbourne wreckers have many years experience in the industry and specialize in Japanese vehicles, all makes and models, from the year 1990 on-wards. Subaru Dismantlers Melbourne specialize in Subaru used parts. Our prices are very competitive and are often a fraction of the price on new Subaru parts. When it comes to spare and replacement parts for your Subaru the team at Subaru Dismantlers Melbourne has one of the largest range of Subaru spare parts in Melbourne and will be able to help. We have a huge range of Subaru engines, transmissions, suspension and mechanical parts of which are all in perfect working condition. 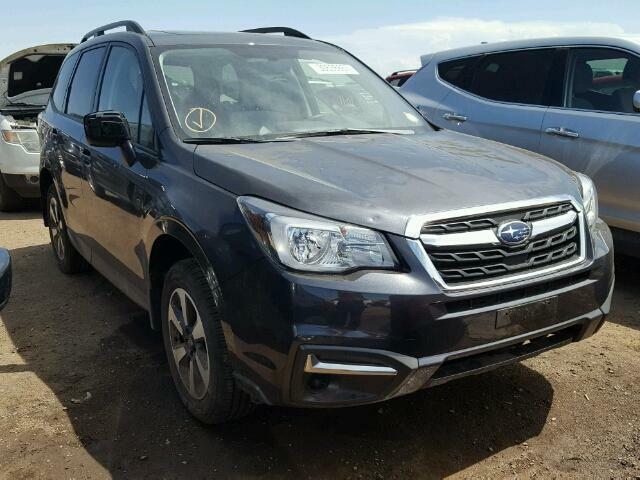 All of our Subaru parts have been thoroughly tested and reconditioned so you will have the confidence that your spare part won’t let you down from Melbourne leading auto recyclers. As well as a huge stock of Subaru spare parts in Melbourne we also have a huge range of wheels, rims, tyres and chassis panels. Are you looking for a replacement Subaru door or mirror? We can help find the right spare part for your Subaru and get you back on the road sooner. We are the largest wreckers in Melbourne an we can even help with those harder to find spare parts such as seats, internal trims, electrics and more. If you need a spare for your Subaru contact Wreckzone today on 04 4922 2425. We have a huge range of near new and used auto parts, dismantling over 300 vehicles in monthly basis . Subaru Dismantlers Melbourne are Subaru engine and gearbox specialists! Search other wrecking yards by car manufacturer: Mercedes wreckers Melbourne, Isuzu wreckers Melbourne, BMW wreckers Melbourne, Ford wreckers Melbourne, Suzuki wreckers Melbourne, Mitsubishi wreckers Melbourne, Honda wreckers Melbourne, Mazda wreckers Melbourne, Nissan wreckers Melbourne, Toyota wreckers Melbourne, Jeep wreckers Melbourne, Audi wreckers Melbourne. This entry was posted in Auto Wrecking and tagged Accident Subaru WRX, Balarat, Flooded Subaru Forester, Frankston, Geelong, High Mileage Subaru XV, Junk Subaru WRX STI, Salvage Subaru Outback, Scrap Subaru Liberty, Subaru Ace, Subaru Ace wreckers, Subaru car parts, Subaru Forester, subaru forester parts melbourne, Subaru Forester wreckers, Subaru Impreza, subaru impreza parts melbourne, Subaru Impreza wreckers, Subaru Justy, Subaru Justy wreckers, Subaru Legacy, subaru legacy parts melbourne, Subaru Legacy wreckers, Subaru Outback, subaru outback parts melbourne, Subaru Outbackwreckers, subaru parts melbourne, Subaru R2, Subaru R2 wreckers, subaru recyclers melbourne, subaru scrap melbourne, Subaru Scrap Yard, Subaru Scrap Yard dandenong, Subaru Scrap Yard frankston, Subaru Scrap Yard melbourne, subaru spare parts melbourne, Subaru Spares, Subaru SVX, Subaru SVXwreckers, Subaru Trafiq, Subaru Trafiq wreckers, Subaru used car parts, subaru Wreckers Melbourne, subaru wrx parts melbourne, Sunshine, Used Subaru BRZ, Wrecked Subaru Impreza on February 20, 2017 by Wreckzone.